My mom liked a well-kept yard. Responding to combinations of bribes and threats, my brother, sisters and I often found ourselves on all fours patrolling the lawn and garden for invaders. As weed assassins, our main tools were butter knives, screwdrivers and our bare hands. Our main nemesis was the stubborn and seemingly never-ending supply of dandelions. I always felt particularly pleased when I managed to get several inches of thick, brown root along with the green leaves and yellow flowers. Like many other elementary school teachers, I often received “gifts” when I welcomed my students into the classroom each morning. In the spring many children brought me flowers. Usually the delicate buds were slightly crushed, but sometimes they were carefully wrapped in wet paper towels like babies that had just come from the hospital. One day a boy in my class handed me a fistful of dandelions. I smiled and said “Thank you.” He gave me a toothy grin and walked proudly toward the coat hooks to hang up his backpack. I didn’t have the heart to tell him that he hadn’t given me real flowers, just weeds. My brother Joel and I are checking on his bees. They live in two hives, hidden from view behind one of Utah State University’s greenhouses. It is dusk and the hot August sun has turned into a pool of melting colors on the horizon. Joel works quickly, not wanting to bother the bees too much while they get ready for bed. Near the greenhouse is a small park and hiding amongst the park’s thick grassy lawn are a few patches of thistles, dandelions and clover. Some might see this as an opportunity for a service project—let’s clean up those weeds!—but bees see it quite differently. According to long-time beekeeper Landi Simone “probably the single most valuable early spring wildflower is the dandelion.” After a long winter, spring dandelions can be a matter of life and death for hungry bees. Right now, one of my brother’s hives is doing well, but the other one has him worried. For some reason the bees haven’t been able to gather as much honey as they should. The loss of a hive for a beginning beekeeper isn’t uncommon, but since 2006, the world’s bee population has dropped dramatically. Scientists are calling the problem Colony Collapse Disorder (CCD) and the more I hear about it the more I wonder if my brother’s struggling bees are connected to this phenomenon. Many believe CCD is caused by a combination of pesticides, disease and lack of natural forage (weeds and wildflowers). Since billions of dollars’ worth of food depends directly on honeybee pollination, farmers are just as worried as beekeepers. If the bee population continues to plummet, our agriculture—and therefore our diets—could change drastically: no more almonds, oranges, watermelon, apples, the list goes on and on. There are many theories about what can be done to help bees. Probably one of the easiest things we can do is to stop killing dandelions. It’s a warm spring day at our house on Wyandot Street. I’m about ten years old and I’ve taken a book into the backyard so I can read and snack on raspberries at the same time. Near the bushes I see a tall green stem topped with a globe of fluffy white propellers. I can’t resist. I tug on the stem and lift the trembling sphere up to my lips. Without even knowing it, my small hand clutches a life preserver. I take a deep breath, blow, and send dandelion seeds all across the lawn. 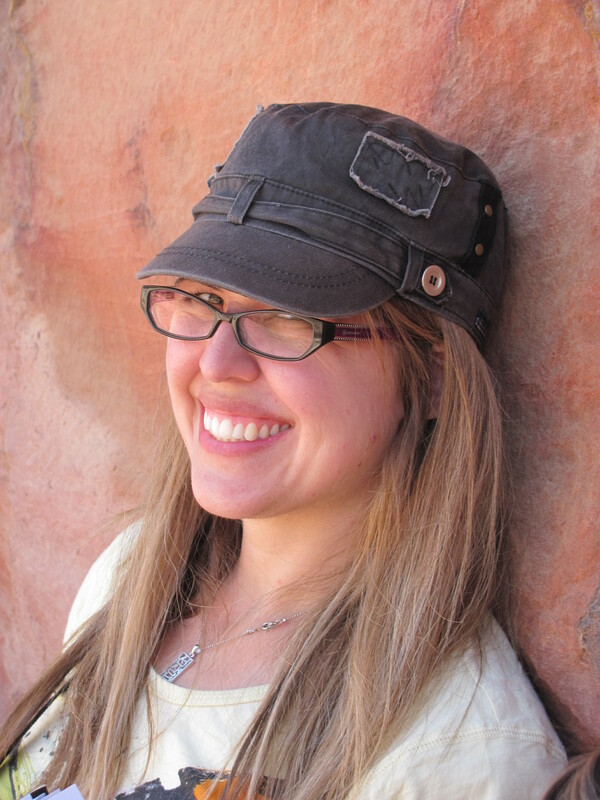 Diantha Smith is a first-year graduate student in the English Department’s Literature & Writing Program at Utah State. She earned her undergraduate degree from BYU before making her way in elementary education and traveling the world from South Korea to Syria. She returned to Utah State to pursue her Master of Arts and hopes to one day be a professor of writing. Cox-Foster, Diana, and Dennis van Engelsdorp. “Saving The Honeybee.” Scientific American 300.4 (2009): 40-47. Academic Search Premier. Web. 19 Mar. 2012. Doiron, Roger. “Wild About Dandelions.” Mother Earth News 227 (2008): 34-36. Academic Search Premier. Web. 10 Mar. 2012. Simone, Landi. “What Can a Lay Person Do?” gooserockfarm.com. Web. 19 Mar. 2012.